Horses driven mad by stings from a tropical tree; men killing themselves rather than live another minute with the pain caused by the sting of the platypus; a caterpillar whose sting is so ferocious it actually kills several people a year in Brazil. These are the stories in this article, a rogue's gallery of the most painful stings known to man. I sincerely hope that you never have the experience of being stung by the South American bullet ant, but in case you're wondering what it's like, I will introduce you to a researcher who has forced the insects to sting him, and then recorded how it feels. 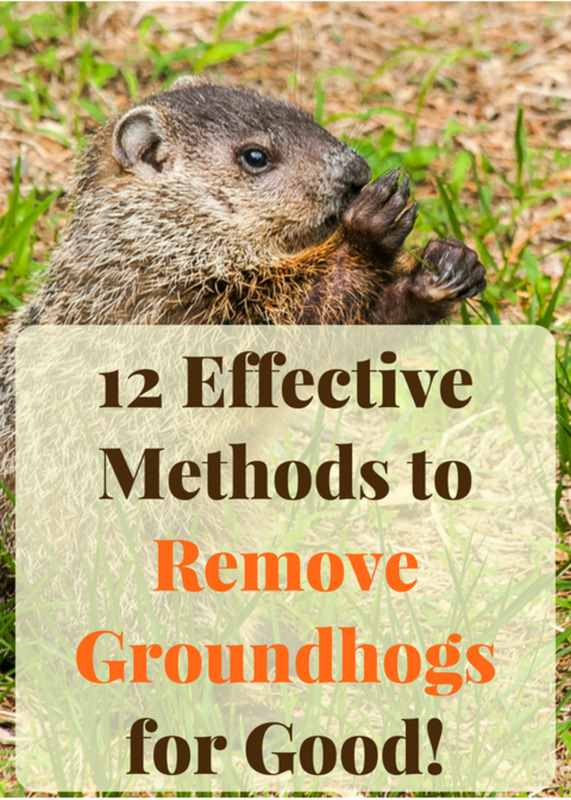 All of this and more is all here in this article – enjoy, but proceed with caution! I know that technically spiders don't sting (they bite), but I couldn't resist starting out with this truly malevolent little monster. It's the only spider on our list – not because some spider bites aren't serious, even fatal events, but because most spider bites aren't immediately painful. But the Sydney funnel web spider is so powerful, so deadly, and so downright toxic, that I felt it needed inclusion here. Along with the gympie gympie tree and the sea wasp, this animal is yet another reason to watch your step if you live in, or visit, the great country of Australia. Funnel web spiders are hard to love. They're huge – the size of a mouse – but unlike, say, tarantulas, they lack shaggy fur or any resemblance of cuddliness. They're shiny black monsters with a solid, almost muscular look to them, and they are notoriously hard to kill. Funnel web spiders rear up on their hind legs when they're about to bite you, showing their gigantic fangs. They also tend to roam about at night, and sometimes wind up in shoes or under bed covers – a nasty, sometimes fatal surprise for the poor person unlucky enough to encounter one. All things considered, funnel web spiders are about as close as you can get to the boogey man. As if all of that weren't enough, funnel web spiders kill with one of the most twisted venoms out there. 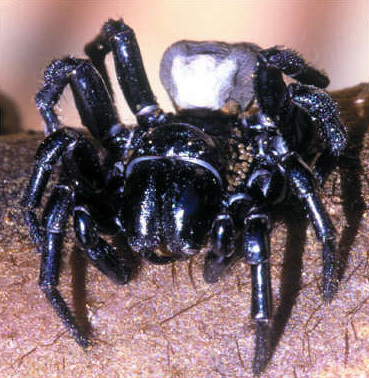 For unknown reasons, the poison of the funnel web affects humans more severely than other mammals. The bite of the Syndey funnel web triggers a reaction in human victims that is truly goulish, and includes severe pain, uncontrolled drooling, and paralysis. If not treated, death can follow quickly. So please, if you live in Australia and wear shoes, shake them out before you put them on! This authoritative, scrupulously researched book will fascinate anyone interested in the most dangerous animals on earth. This little devil is something like the northern version of the bullet ant – an ant-like insect with a ferocious sting. The cow killer is actually a number of similar species, most of them in the family Mutillidae. 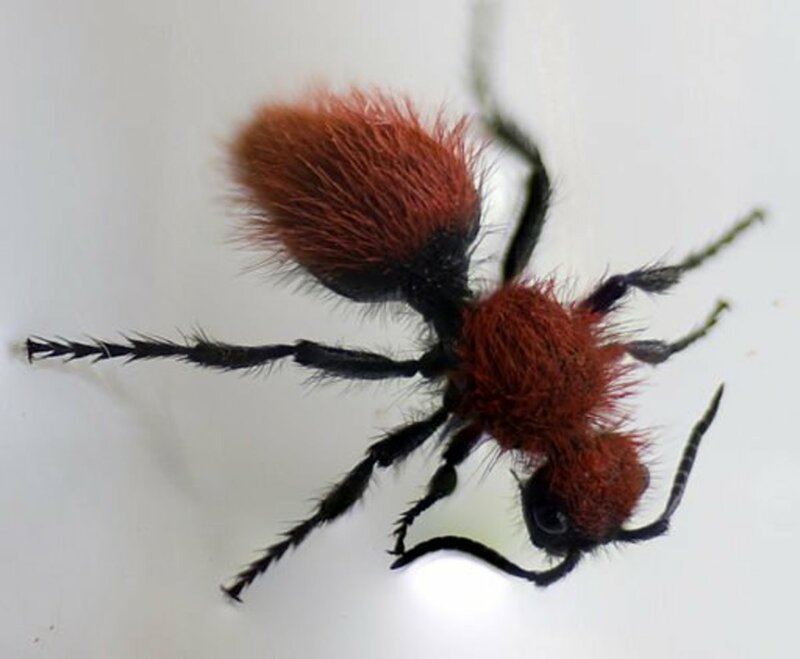 Cow killers and their relatives are sometimes referred to as “velvet ants,” but they aren't really ants at all – they're wasps, and only the females are wingless. The dark-colored males are easy to miss as they hover just above the grass, scanning for the crickets, caterpillars and beetles that make up their prey, but the females are another story. They are often banded with brilliant red or scarlet; in the south there are species with shining white “fur” that makes them look like walking balls of fluff. Be careful, though, because female cow killers all have one thing in common – they sting like the devil. Whether or not the sting of the cow killer can actually kill a cow is debatable, but if you ask someone who has had the experience of being stung they may have a very clear opinion. These creatures are quite common across North America, where they inhabit subterranean burrows that they provision with the paralyzed prey that their larvae feed on. The sting is designed to put the prey insect into a coma from which it will never awake, which provides the cow killer larva a steady supply of fresh, living food. That same sting that puts insects into a coma is capable of putting you into the hospital, especially of there are more than one, or you happen to be allergic to insect stings. So whenever you're in cow country, be very careful where you put your feet! Did You Know That Some Caterpillars Sting Too? Have a look at my Guide to Stinging Caterpillars. Several excellent documentaries have featured Paraponera clavata, also known as the conga ant, or more famously, the bullet ant: this insect gets its common name from those who have experienced its sting first-hand, and report that it's similar to a gunshot wound. Wasps and ants are closely related -- both are in the family Hymenoptera -- and it's fair to think of ants as basically wingless wasps. In the case of the bullet ant, the comparison is even more valid. Bullet ants live in Central and South America, where they construct nests at the bases of trees that may house several hundred individuals. Other than their size – up to an inch long – they're very much like most ants. They are predators, carrying their prey back to the nest to feed to the developing young. Like many insects, including butterflies and beetles, ants undergo complete metamorphosis. 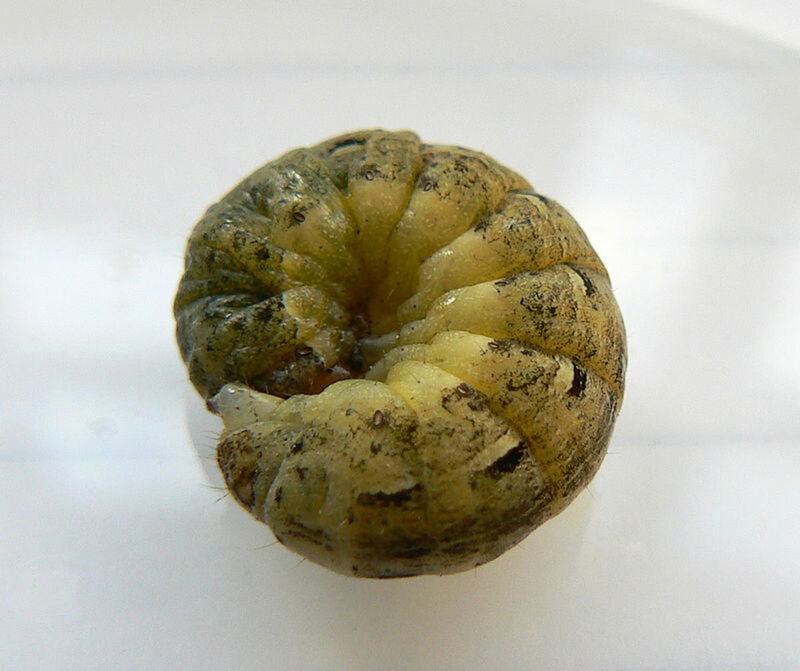 This means there are four stages: egg, larva, pupa, and adult. You only ever see the adults; the other stages are sheltered and cared for in the safety of the nest. Bullet ants, and indeed nearly all wild animals, prefer to be left alone. They don't go out looking for someone to sting, and given the option they'll usually retreat from confrontation with a larger animal by running swiftly away. But contact with humans, intentional or not, does happen. And when it does, look out. 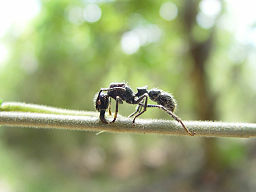 The bullet ant's venom contains a specific neurotoxic compound called poneratoxin (named for the insect's generic name). The venom blocks synaptic transition in the central nervous system, causing paralysis -- and indeed, one symptom of the bullet ant's sting is shaking and even temporary paralysis of the affected limb. The specific qualities of the poison are are so unusual that they're being investigated by medical researchers for possible therapeutic uses. The ant delivers this cocktail of pain through a long, sharp, curved stinger. Stingers in most insect groups have evolved from ovipositors, or egg-laying structures possessed by the females. In the Hymenoptera, they are highly effective venom-delivery systems, as anyone who has ever been stung by a honeybee will surely remember. Honeybees die after they sting, since so much of their insides are pulled out when the bee loses its stinger, which stays embedded in the victim. The bullet ant, along with most other Hymenopterans, keep their stinger, and their insides, when they sting. This enables them to sting again and again. In the case of the bullet ant, as we'll soon see, this is a devastating capability. The Satere-Mawe people of Brazil have made the excruciating pain of the bullet ant sting a central part of their initiation ceremonies. And it's not just one little ant stinging you to see if you can take it – the ritual is much more sinister than that. 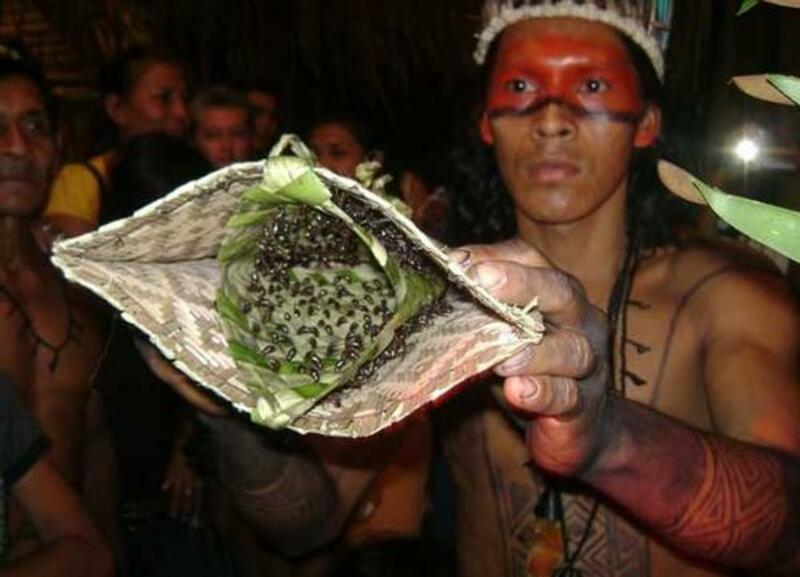 Here's how it works: on the afternoon of the ritual, men go into the rainforest and locate a bullet ant nest. 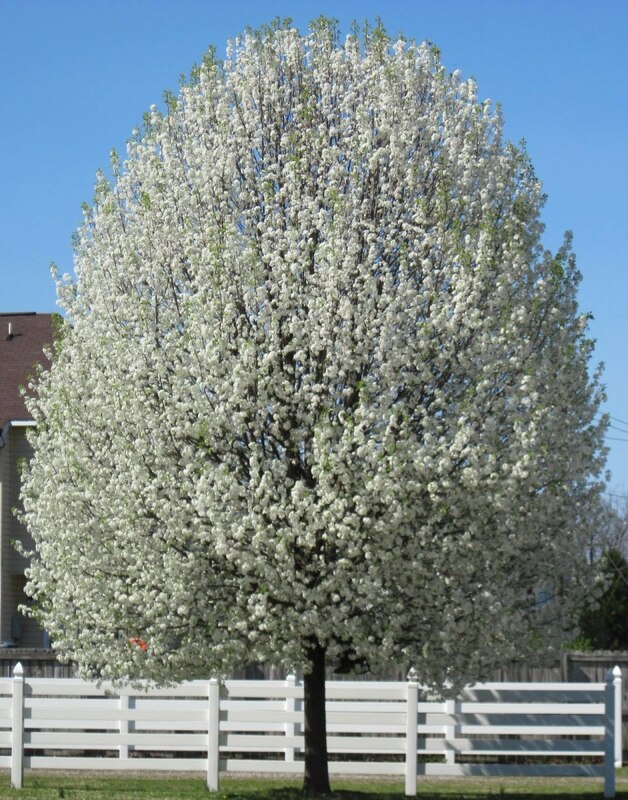 They carefully collect several hundred individuals and sedate them with toxic agents distilled from tree bark. Meanwhile, the women are back at the village, weaving gloves from palm fronds. The devious nature of the ordeal becomes clear when the men return and insert the ants, stinger end first, into the fabric of the gloves. The ants are trapped, and angry, and the palm gloves are now lined with the business end of dozens of angry, frustrated bullet ants. You guessed it – the initiation ritual consists of the young initiates inserting their hands into the gloves and letting the ants sting them repeatedly. Your hands are among the most sensitive parts of your body, and the ants sting again and again. The pain must be unimaginable. The nature of the venom of the bullet ant is such that the pain increases over time; throughout the night of the ordeal, after the gloves are off and the stinging has stopped, the poor initiates are still enduring mounting levels of agony. We all know that jellyfish sting, and that some – the box jellyfish, for example – are capable of actually killing a human. You may have even heard about the man-o-war, a jellyfish with tentacles 150 feet long, and a crest so big that it can be seen by sailors scanning the ocean's horizon. These animals roam the seas, drifting on tides and snaring fish with their tentacles, which are lined with poisonous cells that deliver a devastating jolt of venom to the jellyfish's prey. But the jelly with the worst sting of them all is anything but a giant. 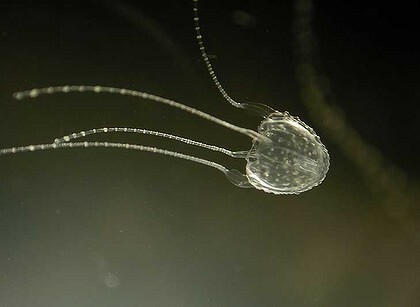 Two species, Carukia barnesi and Malo king, are both known as Irukandji jellyfish (named after the people that live along the Australian coast where the animals are most common). These animals are tiny, nearly invisible little blobs of tissue that float beneath the waves. Their translucent flesh means that unless you're really looking for them, you won't even see one coming – which is unfortunate, because the sting from one of these animals is among the most painful of the animal kingdom. Initial contact with the tentacles of the Irukandji produces a noticeable but generally mild sting. That's really nothing compared to the real pain that sets in about a half-hour later: the dreaded, and sometimes fatal Irukandji Syndrome. Like the gympie gympie tree, the sea wasp possesses venom that doesn't simply hurt for awhile and then wear off. For the poor unfortunates affected by Irukandji Syndrome, life gets very difficult very quickly. The pain can can last for days, or even weeks, and increase in intensity as time goes on. 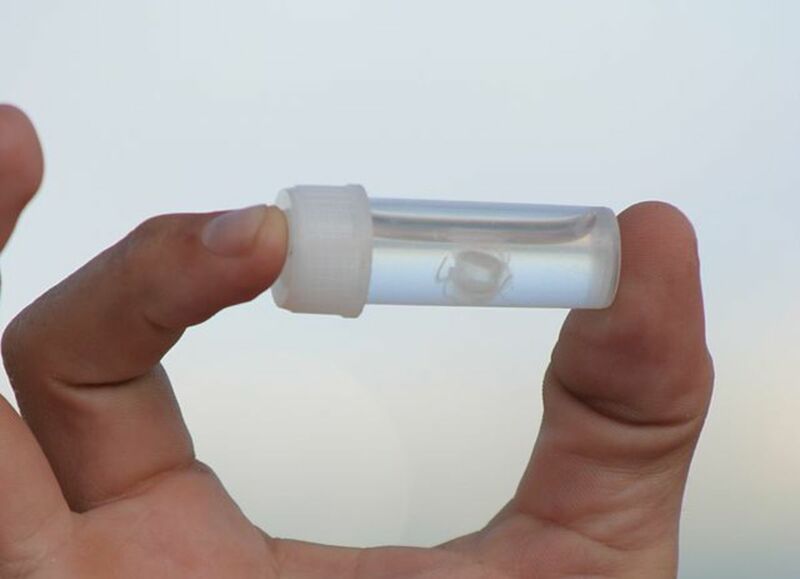 Victims of Irukandji Syndrome experience a reaction to the venom that is much worse than localized pain originating at the site of the sting. The pain continues to develop over time, creating unbearable muscle contractions and aches in the back, stomach and chest. To understand the sophistication of the Irukandji's attack, you need to know a little more about the way the animal delivers its sting. Lining each tentacle of irukandji jellyfish are thousands of microscopic cells called [boh]. These cells are structured like individual spring-loaded harpoons, complete with a coiled tube attached to each needle-sharp spike. When the cell is activated by contact, whether fish or human, the harpoon fires. Traveling out of its tube in a lightning-fast burst, the sharp spine drives deep into the flesh of its victim. At the same time the animal delivers a quantity of destructive neurotoxin through the tube that tethers the harpoon. Even when the process is over and the spine has separated from the sea wasp, poison is still being pumped into the sting. Vinegar discourages unfired harpoons from firing, but it has no effect on the venom already in your system. We all know about poison ivy, and most of us have encountered stinging nettles, a common weed whose leaves and stems sport little spines that deliver an itchy sting. These nuisances are part of any outdoor exploration, and pretty much every summer camp kid or weekend hiker has a story to tell about tangling with them. In the rainforests of Australia, however, there grows a tree that makes these poisonous plants look like a bouquet of roses. 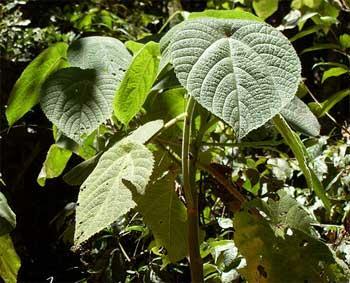 Dendrocnide moroides, commonly known as the “gympie gympie tree,” packs a sting so powerful that there are stories of men shooting themselves rather than spend another second enduring the pain. Horses are also susceptible to the devastating effect of the gympie gympie, and have been reported going insane from the pain. Clearly this is a life-form that should not be messed with. Dendrocnide moroides is, unfortunately, a very common plant in parts of Australia. It grows to a height of about fifteen feet, and is often among the first plants to spring up in the rainforest when a falling tree clears out a patch of sunlight. 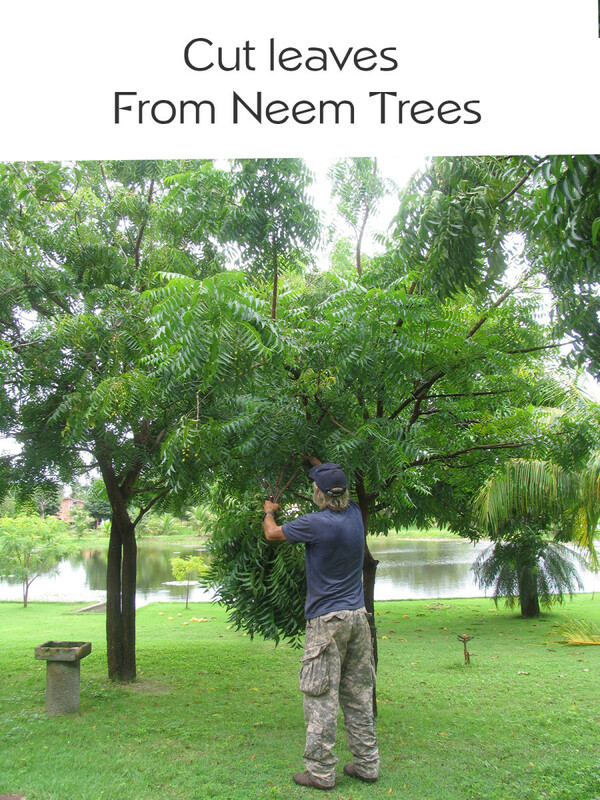 There's nothing about the appearance of the gympie gympie that might warn you not to touch it – in fact, it looks like pretty much any other little tree, blending into the surrounding greenery of the tropical landscape. 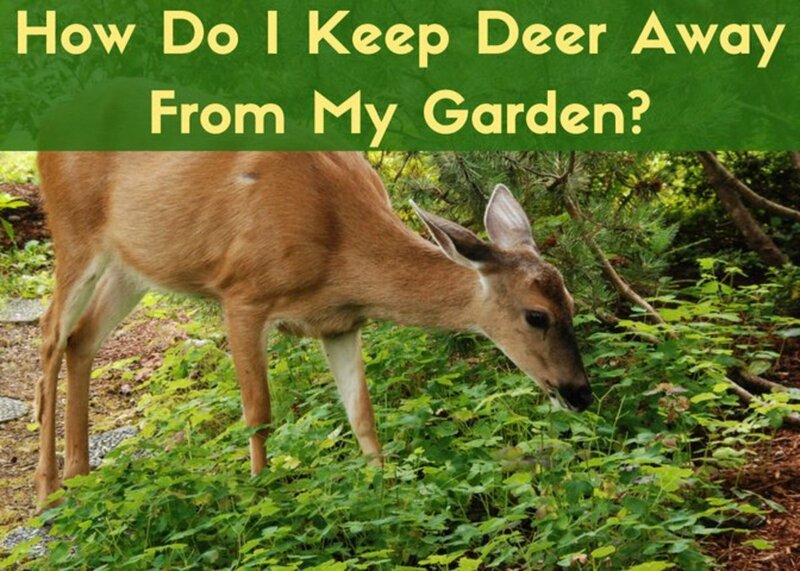 You could be surrounded by one of the most dangerous organisms on the planet and never know it. But the innocent look of this plant hides a vicious secret. The stems and leaves of the gympie gympie are covered with microscopic spines made of silicone, an inorganic substance that the plant uses to make brittle, needle sharp bristles. If you've ever handled insulation rolls and wound up with painful little slivers in your fingers, that's close to what the spines of the gympie gympie are like. With one difference. Each and every tiny spine of each and every gympie gympie leaf is hollow. Each one is nothing less than a microscopic hypodermic needle, loaded with a toxin that is among the most devious poisons on the planet. The pain-causing venom of the tree is delivered through the hollow spines – all it takes is the tiniest touch, the littlest brush against one leaf, and those little needles penetrate the skin and deliver the venom. They're so tiny that in some cases human skin actually closes over the broken-off spine, sealing the sting inside the victim. Then the true evil nature of this poison becomes clearer. It's extraordinarily stable, which means that it doesn't break down very quickly over time. What this means for the victim is weeks or months of recurring pain. Every time the stung area is touched or subjected to a change in temperature, the venom fires up and the pain begins all over again. According to sources, the sting has been known to kill people and also horses and dogs. Interestingly, animals native to Australia are generally immune to the sting of the plant, and indicts and native birds regularly feed on its leaves.The main pain-causing toxin in D. moroides is Moroidin, which contains an unusual arrangement of tryptophan and histidine, has been shown to be responsible for the seemingly endless duration of the Gympie Gympie tree. In fact, dried specimens that are 100 years old can STILL inflict pain. Hard to believe, but true. Marina Hurley, a researcher whose work with the gympie gympie is well-known, actually handled these plants repeatedly as part of her field work. She very quickly found out the hard way that standard protective gloves weren't enough, and she was getting stung through the tough leather. She found that the only way to really protect herself from the gympie gympie was to wear heavy rubberized gloves of the kind commonly used by scientists working with acids and post-reactive nuclear wastes. And if that weren't enough, she also found that the trees constantly shed their poison needles. After an hour or two in the presence of the trees, she experience severe irritation from inhaling the spines that fell in an invisible shower from the trees above. Another person, who fell into the tree and received stings over much of his upper body, described it this way: “I remember it feeling like there were giant hands trying to squash my chest. For two or three days the pain was almost unbearable; I couldn’t work or sleep." The stinging persisted for years and started up again every time he took a cold shower. Treatments for gympie gympie stings are few and far between. 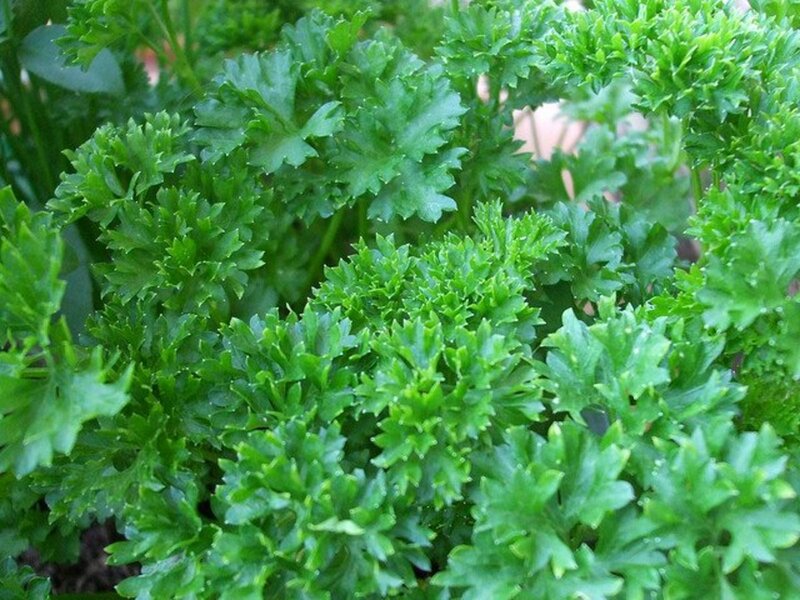 One folk remedy is guaranteed NOT to work: rubbing the sting with dirt from the vicinity of the plant. There's no curative power in the dirt, and in fact you'll only be making the pain worse, since any spines that have not yet emptied their venom are going to do so when stimulated by the rubbing. The experience of the buried silicon needles pumping even more pain-causing poison into your system is definitely something you want to avoid. The platypus is a mega-strange animal to begin with: it has webbed duck feet, a big duck bill, and it lays eggs, so it's basically a duck. But it also has thick fur, nurses its young, and is technically a mammal. Weird, no doubt, and maybe you already knew that. But did you know that the male duck-billed platypus also has one of the most painful stings in the animal kingdom? The male platypus sports sharp spines under the fur of its hind legs, and these spines are full of some of the most evil venom on the planet. The pain of a platypus sting can hardly be described, and has been known to drive grown men mad. There are few animals, and literally zero mammals, with this kind of stinging capacity. Many early zoologists and explorers learned about the sting of the platypus the hard way, when they tried to grab a few to show all the people back home. 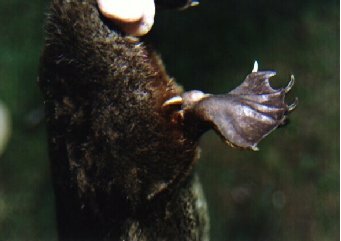 Platypus venom is unlike the poison of snakes and spiders, which typically have a necrotizing, or flesh-killing component. Platypus venom isn't designed to destroy or kill -- it's only meant to cause pain. The venom is produced in a small gland on the inside of the male animal's thigh, and delivered via a sharp, curved spike or spur. Opiates like morphine appear to be useless against the pain of the platypus sting. The venom contains a D-amino acid, which is another way in which the platypus is strange -- it's the only known example of the presence of a D-amino acid in all mammalian biochemistry. Masaki Kita, Daisuke Uemura, and other researchers were among the first to work with the chemistry of platypus venom and explore possible medical uses for the substance. 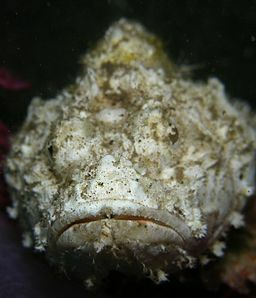 Stonefish are small to medium sized fish in the family Synanceiidae. They live in warm waters throughout much of the world, and they like to sit on the bottom, where they look a lot like a rock (hence the common name). These fish have close-set eyes and a slit mouth that all point up, so it can see its prey swimming by overhead. When a small fish or crab wanders by, the stonefish's mouth pops open, inhaling the unsuspecting prey. So far, so good -- there's nothing wrong with a fish hanging out on the bottom of the sea, looking like a rock and eating the occasional smaller fish. The stonefish, however, also has needle-like dorsal spines on its back, which stick straight up when the fish is disturbed. Loaded into each of these spines is one of the most powerful neurotoxins in the animal kingdom. Step on one of these perfectly camouflaged fish, and the spines puncture your foot. It's not uncommon for this to happen -- stonefish is the second-most commonly dispensed anti-venom in Australia. This excellent blog post provides a harrowing first-hand account of what happens next. The venom, which has a pale blue color, is pushed from the glands of the spine into the bloodstream of the victim. One of the substances in a stonefish sting is called stonustoxin, which can cause severe hypotension (low blood pressure), a serious condition that can be life-threatening. The primary symptom of stonefish envenomation is burning, severe pain, which soon begins to spread up the limb. In addition, serious swelling begins shortly after the sting. The cytotoxic (cell-destroying) properties of the venom soon become apparent, as blistering and dying tissue soon surrounds the sting. Death can follow in a matter of hours. The first experience of a stonefish sting appears to be tingling feeling that slowly spreads up the limb, becoming more like pins and needles, and then becoming progressively more painful. The pain soon becomes cramp-like, then stabbing, and moves to nearby joints. By this time, the victim need intravenous pain-killers just to stay conscious. Paradoxically, some arthritis sufferers report that the stonefish sting actually helped their arthritis symptoms. While there's no stonefish-based arthritis medicine yet, it's possible that future research might find a use for this malevolent poison. This is the most potent scorpion in North America, and its sting is legendary in the southwest. 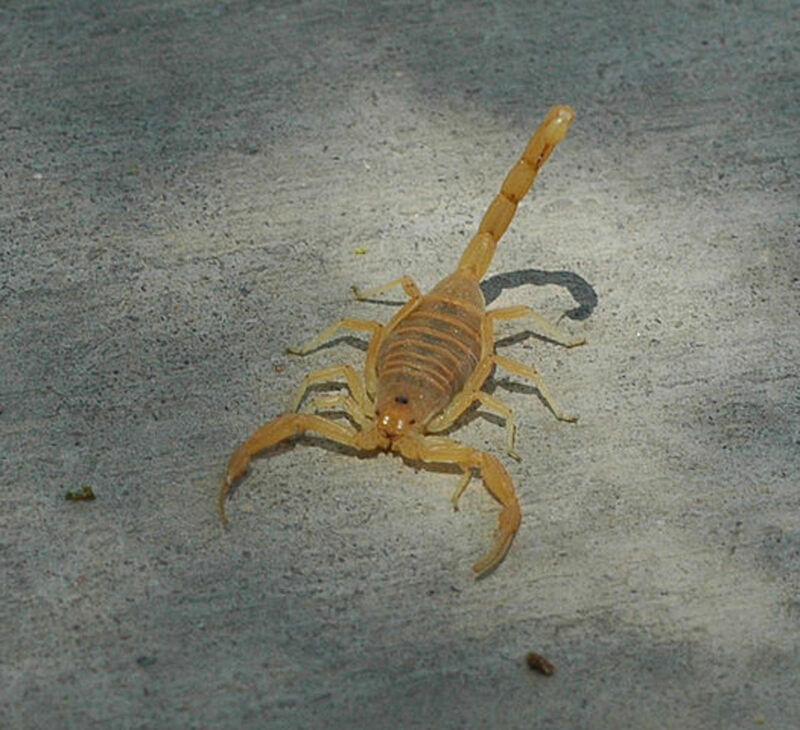 In Phoenix, especially, there have been many reports of powerful stings from this animal -- there is a frightening collection of first-hand accounts from people who were stung by scorpions on this blog. The Arizona bark scorpion typically lives near rivers, which are often the only areas on the desert where trees grow and insects, which the scorpion feeds on, are found. However, since so many people water their lawns in Arizona, large outbreaks of the scorpion can occur in neighborhoods and around homes. This is just the scorpion exercising its good sense and following the moisture, and therefore the food. These animals belong to the genus Centuroides, which includes several other species, all with painful stings. They are also the only scorpions in the southwest that can climb trees, where they often wait for prey in a head-down position. The bark scorpion is the most venomous scorpion in North America. 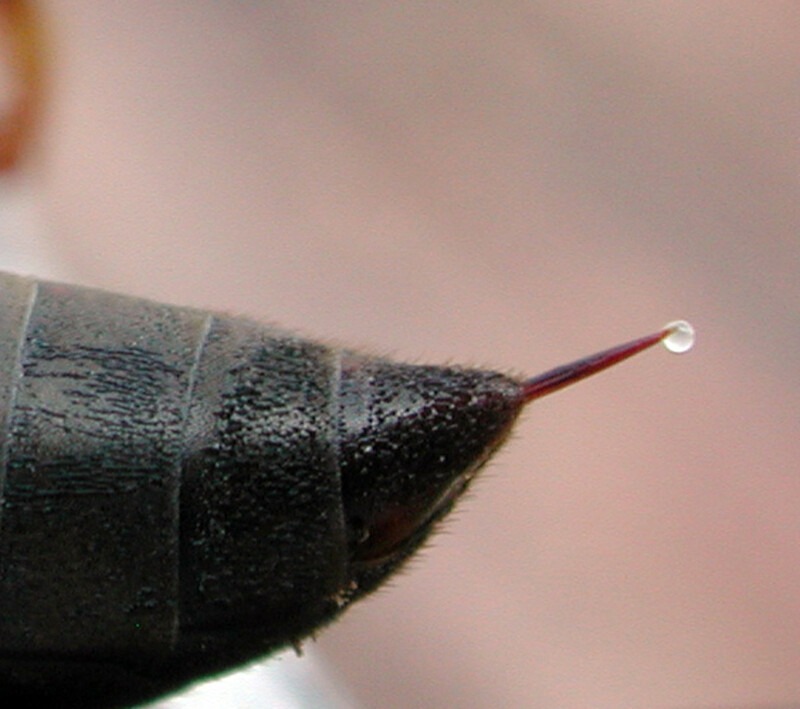 The poison is delivered by a needle-sharp, curved stinger at the tip of the animal's tail. The scorpion grabs its prey and probes the victim for a place to deliver its sting. A general rule of thumb with scorpions says that the smaller the pickers, the more potent the venom. This may be due to the fact that the scorpion doesn't need big pincers to hold its prey, since the power of the poison immobilizes it in seconds. In people, the venom of the Arizona bark scorpion causes instant, blinding pain that can actually cause confusion and hyperventilation. The affected limb may go numb, and the spot of envenomation is commonly still numb even months after the sting. The pain has been described as "electrical jolts." Despite the power of the sting, fatalities among humans are rare. Small children and the elderly are most likely to be killed by the sting of the bark scorpion. People who exhibit an extreme reaction to the venom may froth at the moth and have trouble breathing, part of a paralytic reaction that mimics seizures but is pathologically distinct. During an especially bad stretch in Mexico in the 1980s. 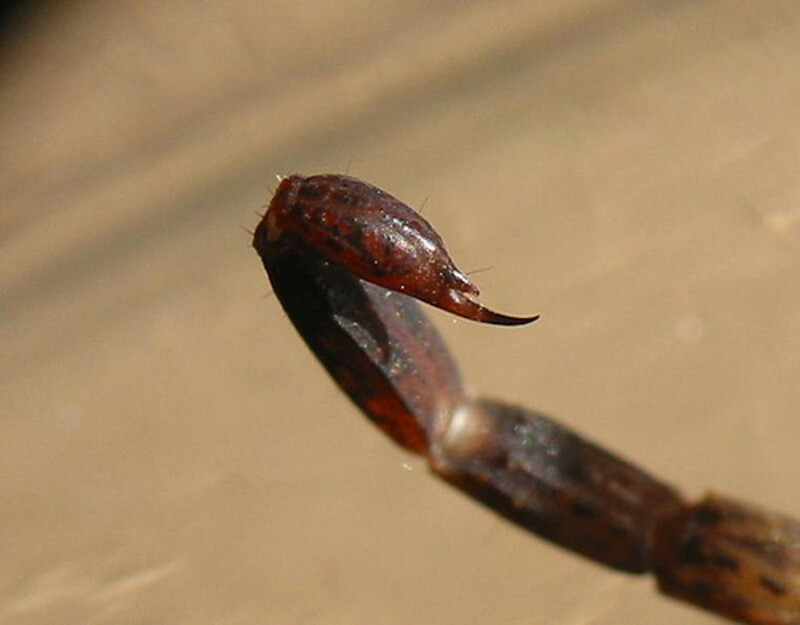 nearly 800 people were reported killed by Centuroides scorpions. 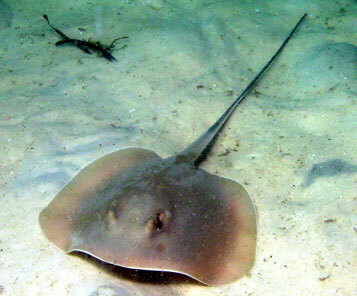 This animal hunts by night in shallow water off the coast between Chesapeake Bay and the Florida Keys. By day, it lies quietly just under the surface of the seabed. That's bad for people who are out walking in the waves. If a person steps on a stingray, the long tail whips around and drives a five-inch bony singer deep into the victim's flesh. The power of the stingray is such that the spike sometimes goes entirely through a person's ankle and emerges from the other side. The scientific name of this animal is Dasyatis say. Several other closely related stingrays occur in salt and fresh waters throughout the world, and all have similar habits and stinging capabilities. These animals aren't aggressive, but they are quick to strike when stepped on or harassed, and their spike can penetrate leather and rubber with ease. The venom, in addition to being excruciatingly painful, is also paralytic, and can affect breathing and heart function. The sting can be fatal for some individuals. On Justin Schmidt's sting pain index, the Tarantula Hawk ranks the highest among North American insects. It's a huge wasp that stalks huge prey. When it locates a potential victim, the tarantula hawk attacks with claws, sharp mandibles, and huge sharp stinger. The stinger is equipped with some of the most potent paralyzing venom in the animal kingdom. But it doesn't kill the spider -- it keeps it alive long enough for the wasp's larva to feed on its fat stores in the wasp's underground burrow. Dr. Schmidt is well-known for his entertaining descriptions of the stings that he welcomes wasps and ants to deliver to his unprotected skin. He description of the sting of the yellow jacket is classic: the pain of the sting is "hot and smoky, almost irreverent. Imagine W. C. Fields extinguishing a cigar on your tongue." And that's just a 2 out of a possible four. And guess which wasp rates a 4 -- that's right, the tarantula hawk. Here's how Schmidt describes it: "Blinding, shockingly electric. A running hair drier has been dropped into your bubble bath." 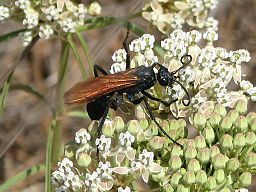 One first-hand account of a tarantula hawk sting described it as unbearably painful, but short-lived: after fifteen minutes, it had faded to manageable levels. Compared to some on this list, like the Irukandji jellyfish sting that lasts for weeks, that's pretty merciful. The tarantula hawk is not particularly aggressive, but will not hesitate to attack if threatened by humans. Hope You Liked This Article! There are many more stinging animals out there -- these are just the ones you REALLY want to watch out for. Have fun and BE SAFE OUT THERE! wheres the warrior wasp? why is the bullet ant so low? it should eb higher than tarantula hawk. What about the dessert centipede? Conch Shell/Snail, Japanese Giant Hornet and Fire Urchin stings apparently are very nasty too. Apart from being potentially lethal, wonder how a Blue-Ringed Octopus's venom rates.. The Irukandji jellyfish and Box Jellyfish may have the world's most painful venoms. The pain is so violent it can render the victim unconscious. The nervous system cannot handle such horrific pain. Its tantamount to being electrocited in the electric chair or being struck by lightning. Theres a record of a man being injected with Platypus venom and falling to the floor in agony. Victims of Stingrays, Lionfish, Zebra fish, Weeverfish, and Stonefish have said that the pain is worse than kidney stone. Among venomous snakes, rattlesnakes, Gaboon vipers, and the Puff Adder have the most painful venoms. Cottonmouths give an agonizingly painful bite. These Devilish, repulsive critters are found in the water in North America. These are truly horrible examples in animal kingdom created by the Devil or by a demon. Tropical Tarantulas have painful to agonizingly painful venom. The Orange Baboon Tarantula has a bite which is said to be more painful than a rattlesnake bite, more painful than childbirth, more painful than a broken leg, more painful than toothache. Wow! One man who was bitten said that the first 30 minutes after the bite was unbearable and brought bim to his knees. The Chinese Earth Tiger Tarantula, Haplopelma Hainanum, the Featherleg Baboon Tarantula, genus Stromatopelma, the King Baboon Tarantula, and Tarantulas from the genuses Selenocosmia, Lampropelma, Phormictopus, Psalmopeus, Poecilotheria, Heteroscodra, Sericopelma, etc, all have agonizingly painful venoms. The Solomon Islands Centipede has an unimaginably painful venom thats been compared with a gunshot blast, broken bones, and being set on fire. Various Assassin Bugs have a very painful venom, and one species in Israel has a venom that can kill a human in 2 hours. The world is dangerous and scary, and the existence of venomous animals is one reason why. It hurts just looking at the pics...especially the crazy ones that put the gloves on. This is really scary. I still remember days, when I was stung by a bumble bee. A normal bumble bee is so terrible, I wonder what they might be. Totally scared! Very well done. Enjoyed and voted up! Thank you for this. My worst came from a wasp, It put my arm out of action for a day.